Bike Love? We Get It! Are you new to Portland or new to cruising around the city by bike? Bike Portland, ORbike and Filmed by Bike welcome you! We are so thrilled to have you, another bike lover here in Portland. 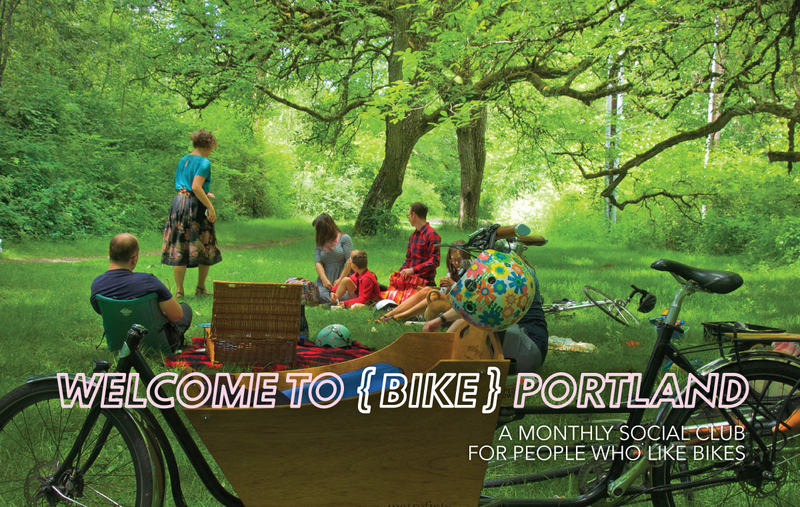 Welcome to (Bike) Portland is a social club geared toward new riders and those who are quickly falling in love with this bike loving mecca. Gorgeous culture in the city. How do you live a creative life in Portland by bike? Meghan will take us on a tour of the creative side of Portland. Organizer of the Portland World Naked Bike Ride, Pedalpalooza, Tweed Ride and more. Meghan also leads mural tours, is a performer, and is the host of The Moth Portland. Meghan lives with her partner and his two children as a car-free family that gleefully travels throughout the city by cargo bike (they have two! ).